It is 1903. Dr. Ravell is a young, Harvard-educated obstetrician whose reputation for helping couples conceive has made him a rising star. 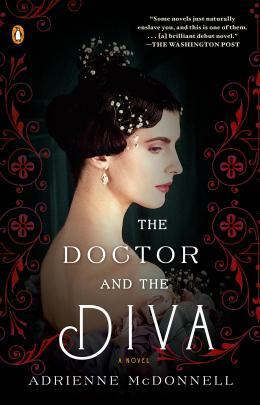 He is flattered when a family of illustrious Boston physicians turns to him to treat one of their own members -- a lovely opera singer named Erika von Kessler who has struggled for years to become pregnant. As his attraction to her increases, and his treatments prove ineffectual, the pressure on the young doctor mounts. By the time she meets Ravell, Erika has lost all hope of becoming a mother. Her extraordinary voice is gathering acclaim, and she is determined to move to Italy to launch her career in earnest. But becoming Dr. Ravell's patient will change Erika's life in ways she never could have imagined, and she has no idea of the lengths to which her husband will go to keep her by his side. Lush and stunningly realized, The Doctor and the Diva moves from snowy Boston to the tropical forests and plantations of the Caribbean, to the gilded balconies of Florence. This is a tale of romantic obsession, longing, and a woman's irreconcilable desires as she is forced to choose between the child she has always yearned for and the artistic career she cannot live without. Inspired by the author's family history, the novel is sensual and heart-stopping in its bittersweet beauty.